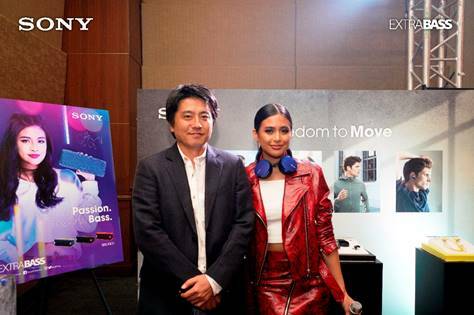 Sony Extra Bass continues to bring deep bass for deeply passionate music lovers, as it officially announces its newest endorser – Millennial IT girl Gabbi Garcia. A relatively fast rising showbiz beauty, the new Sony Extra Bass IT girl is the embodiment of youthful energy. From acting in soap operas to performing on stage, Gabbi always gives her extra in everything she does. 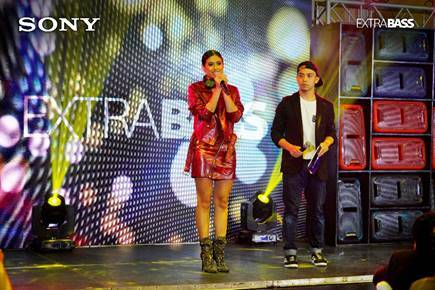 The new Sony XB IT Girl joins DJ Rammy Bitong, dance crews A-Team and Upeepz to complete the Extra Bass crew. “Sony Extra Bass is all about loving music and living it, and Gabbi Garcia brings to life this character. The Sony Extra Bass line is for people whose passion for music extends to all facets of their lifestyle: work, play, workout and travel. We endeavor to provide them with a differentiated experience as they pursue their passions in life.” Nobuyoshi Otake, Managing Director of Sony Philippines explained. Sony Extra Bass’ range of products include portable Bluetooth speakers that are light, stylish and wireless that you can take to any party to stream high-quality sound effortlessly. Meanwhile, Sony XB’s line of headphone series boasts superior quality sound and long-listen comfort. “Aside from acting, music is really my priority. This opportunity to be part of Sony Extra Bass brings me closer to my passion. I use it whenever I need to study songs for my performance, or when I need to set the pace for my workout or when I’m just hanging out with my friends. I always feel extra with Sony Extra Bass.” Gabbi shared.